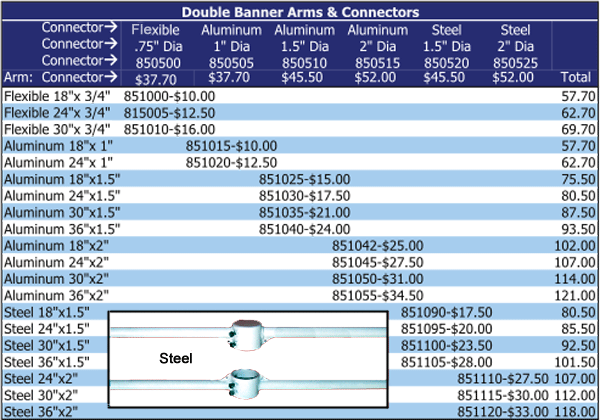 Banners held by top and bottom arms (stationary) offer the most resistance and should be used with a steel galvanized powder coated banner pole. 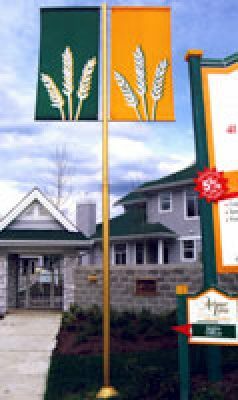 The customer may elect to put larger banners on selected poles at their own risk. 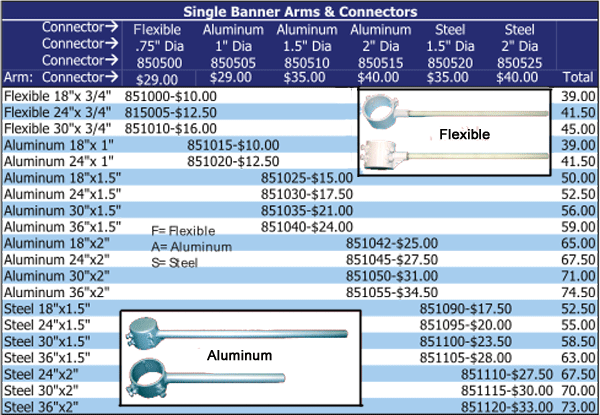 Flag Outlet does not offer a warranty on banner poles. Vertical banner held by no arms or one arm should have a vertical header sleeve. 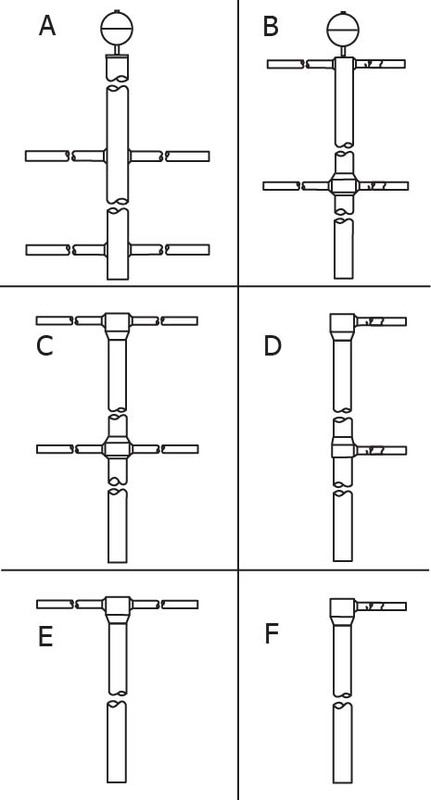 Banner is prevented from riding up the pole by using a ring bead, purchased separately.